 My name is Nikoleta, and i am award winning makeup artist based in Barcelona. Over my career as makeup artist i worked with many famous brands and persons from Andrés Velencoso and Luis Suárez to Marks & Spencer, Deutsche Telekom, Paypal and many others. On 2015 and 2016 got prestigious awards in wedding industry and was recognised as one of best makeup artist in Barcelona by BODAS.NET also nominated in ZIWA awards as one of best makeup artist in Spain in 2014, 2015 and 2016. If you came to our website, you are probably wanting to look your best for some special event, day or photo shoot, or you just want to learn how to do professional makeup by yourself. If any of that sounds like you, we can help! Our mission is to help your most beautiful self unfold and make you look the best of your life. Believe in yourself and put your confidence in one of the most accomplished Barcelona´s fashion and wedding mobile beauty team.